Baltimore, MD – Apr. 12, 2019 – 3:11 PM - Due to overwhelming demand, the MMR clinic at Shomrei Emunah will not be able to process individuals who arrive after 3:15 before Shabbos. 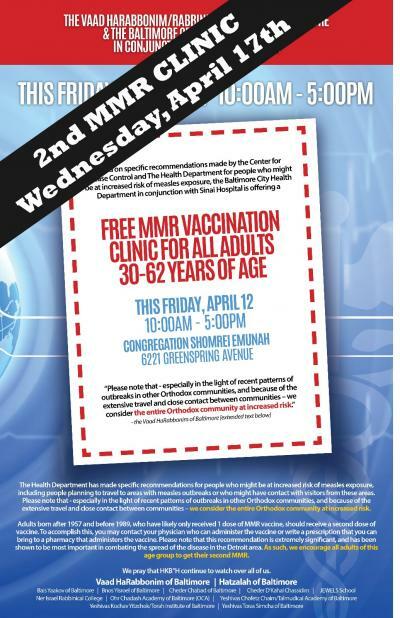 It is important to note that other options are and will be available for vaccination, including local pharmacies and other MMR clinics in the coming week, Be”H.